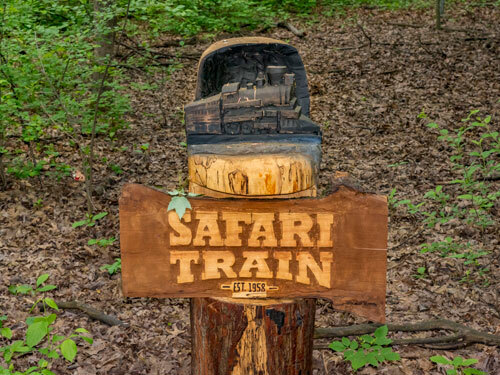 Not to toot its own horn, but the North Shore Bank Safari Train at the Milwaukee County Zoo turns 60 years old this year! In 1958 the publishers of the Milwaukee Journal Newspaper donated the custom-made steam engine, which is one-quarter the size of a regular steam engine and operates under the same mechanical principles as its full-size counterpart. Do not be fooled by the small size, the 8-ton train is surprisingly fast and can travel up to 60 miles per hour, but normally runs about five or six miles per hour. 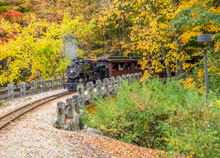 Each year, approximately 400,000 people ride the train on its 1.25 mile journey through the Zoo, which totals 2,000 to 6,000 miles traveled. 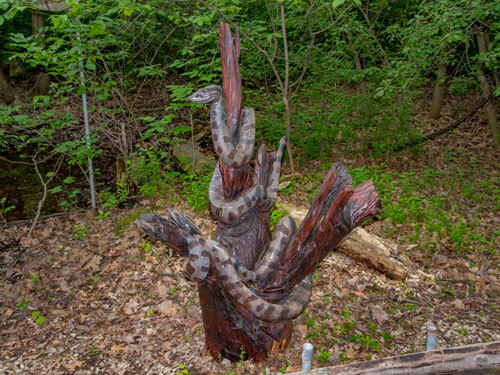 To commemorate this significant milestone, eight 4-foot wood sculptures will be placed near the tracks throughout the woods. 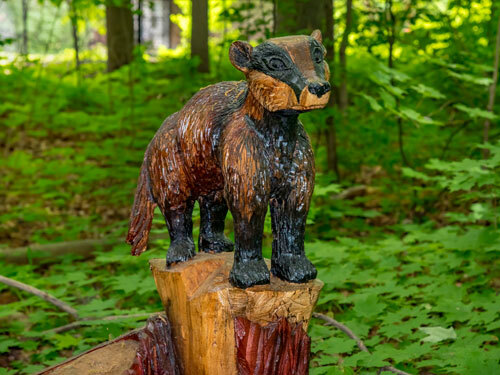 The sculptures are Wisconsin wildlife representing either a state symbol or a U.S. 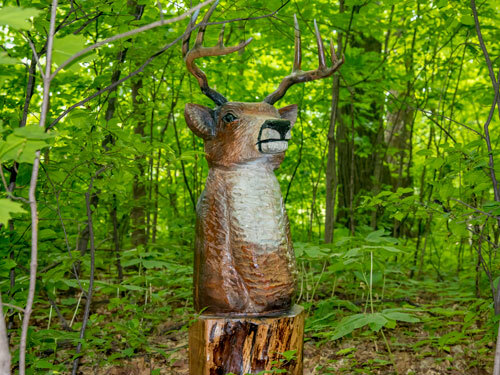 Fish and Wildlife Service threatened or endangered Wisconsin species. 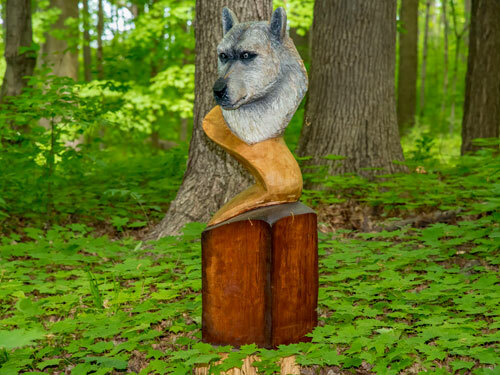 One sculpture takes eight hours to construct. The sculptures are hand-carved by Rock on Ice, a company in Ohio that also carves the Zoo’s giant pumpkins for the Halloween events. 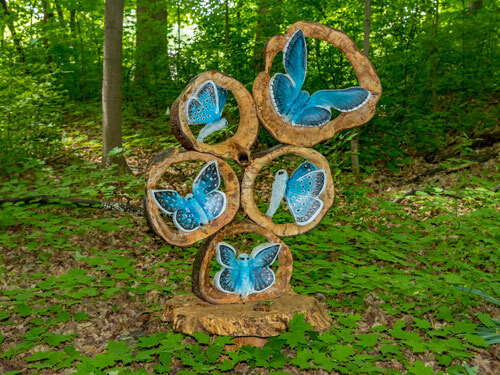 Each wooden sculpture is made from “urban wood,” which comes from trees that already need to come down. 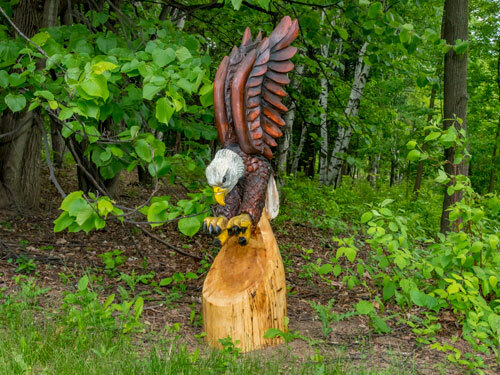 The sculptures will be featured beginning Memorial Day weekend, and include a bald eagle, gray wolf, karner blue butterfly, eastern massasauga snake, white tail deer, musky and badger. Train trading cards similar to the Zoo animal trading cards will be handed out around the Zoo from Memorial Day to Labor Day. The cards include fun facts about the Zoo train. Early this summer, new TV screens will be placed in the waiting area to board the train, presenting throwback videos, fun train facts and highlighting train history. The Milwaukee County Zoo’s social media platforms will post throwback videos, as well as contests from Memorial Day to Labor Day. 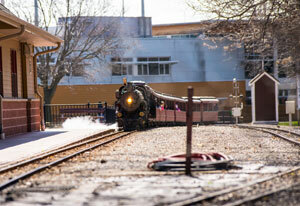 The Zoo is home to two steam engine trains and two diesel engine trains. The steam engine is more difficult to operate than the diesel since it requires a precise balance of heat and water to maintain steam pressure. 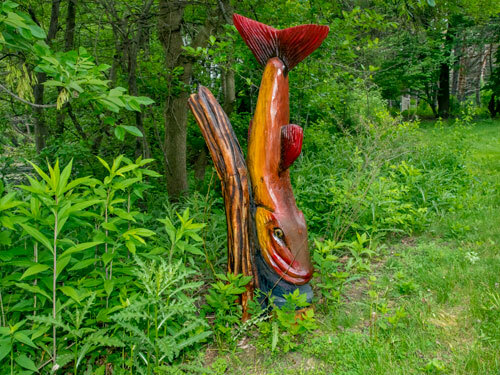 Each trip, the train travels across two bridges, past Lake Evinrude, as well as many animal buildings and exhibits including the North American area, African Waterhole and the Northwestern Mutual Family Farm. For more information, please contact the Zoo’s Marketing and Communications Division at 414.771.3040.